A good mood is your choice to make, and also your way to make it happen, only if you find it possible, then it will absolutely be possible. Though there are a lot of people in this life that you will meet and all that matters to them is a way to keep you in sad moods, don't ever let them. If you give them the chance to do that, they will end up making cry and also give you sleepless nights. Do you know how to enhance your good mood, irrespective of sad or bad the day might have been? 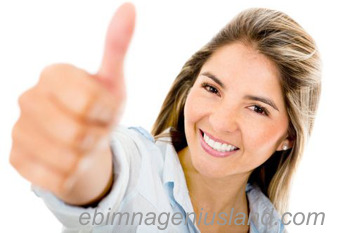 Ebimnageniusland will teach you how to do that today, it is very easy to do if you find it easy for yourself. Whatever thing a man sees easy is always easy but when you see it the hard way, trust me, you will never get rid of it. The choice is yours to make today. Our goal is to give you the best guidance and guidelines to follow here, and when you follow it, believe me, you will be the happiest person in life. See how to make your self-happy as a man here. Also, don't forget to be Making yourself happy as a woman too. There are so many ways and methods to enhance the best mood that gives your heart joy and laughter bit we will show you some of the best ways now. Many people are making this mistake. What do I mean? When you are invited in a place, you will be fully welcomed but when you are the one that invited yourself you will end up, not being happy, or you might even regret ever going there. WHY? The reason is that, if the seat you are seated at, is kept for someone that was officially invited, then the invitee will ask you to change position. At the end of that occasion, you might feel inferior or embarrassed. The best thing to do is to compose yourself in all ways so that you will be invited. * Don't Let People Look Down on You. When you look down on yourself, people look down on you. You must learn to be a bold and outspoken being. Wherever you find yourself be a contributor in all angles. Don't always be a follower, the way you package yourself determines the way people see you. If you find yourself in the gathering of many people where you are invited, Always contribute to any options or opinions of the meeting. It does not matter whether your opinion or suggestions where used. What interests people is that you are a contributor. It takes your personality to a higher level, which ends up putting you in a good mood, in the ghetto sense that you were welcomed and appreciated, and also respected. Most times, music is the best tricks to keep your heart and self in a good mood, especially theMusic you enjoy most. There is no need of one playing a music that you know you dislike them. Maybe you are doing it for someone else. Trust me, you will end up being Sad, while the person you played the music for, is really the happiest person on that day. You just have to try to please yourself first, before pleasing anyone. To be a different person I mean is that, you should distinguish yourself from the midst of discouraging friends. Stop joining those groups of people that are always there to discourage others of their good acts. Be a different Person. Make yourself to be someone that people will always come to seek advice from at all times, even if it's something you've not experienced. Now the Question you are asking yourself is: How do I do It? I know you can do it. My dear reader, I have confidence in you and your instincts. All you need to do is find a better place to be. Always be at home, there is no better place like your home, I trust am telling you the truth. If your home is never a better place to be, then go to your church, The church is one of the quietest places I've seen and been to, especially when there is no service being held in the church. When you place yourself in such kind of places, you have to be a good thinker, think of things that will establish you in your business, academic, offices and much more. It's all In your hands to be successful in all things. If you are interested. You just have to make it happen. I know you can do it. I trust you! And these are the things successful people do every night. Try it! When you are being in a state of mood and you noticed that you are not happy, it's your primary duty to cheer yourself up. When you are not happy, it was caused d by something or someone,. There are several ways to cheer yourself up, maybe through going out to meet people or by playing music, or by watching movies, or by taking yourself to a noisy place, you just have to figure yours out by yourself. you already know the things you do that makes you happy. Learn to cheer up no matter the situation, because being cheered up makes your life live longer than you could ever imagine. Got ya! This was a good post! I agree with what you said, especially about positive thinking. I believe that keeping your mind in a positive place is very important for a happy life. Yes, The reason is that the more positive yu think the happier you remain.